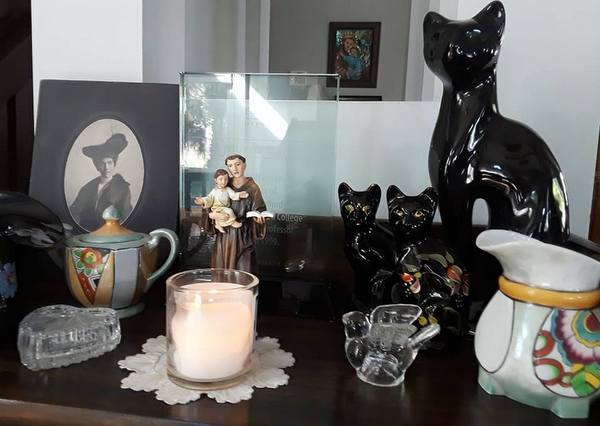 I would like to share my story of my love for St. Anthony. My experience happened when we lived in Atlanta, Georgia. I was busy cleaning our home one morning when I noticed my diamond fell out of my ring. It was not my wedding ring but the ring my mother had given me when I was in my early twenties. The ring was her wedding ring and she wanted to pass it on to me. I cherished the ring and wore it daily. 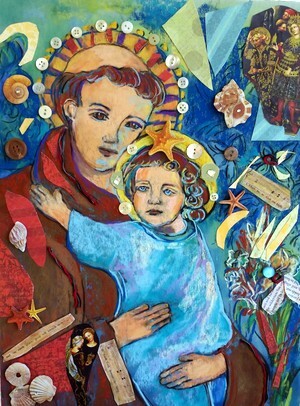 Miriam is also an artist, this is her painting of St. Anthony with the Christ child. My father and mother's marriage was short as he died when I was only 6 months old. I grew up only knowing my father from photos and stories people would tell. Below is a picture of my first Christmas with my parents. When I lost the ring, I prayed to St. Anthony to find my diamond that fell out of the ring. However, several years passed and we moved from that house in Atlanta to Brunswick, Ga. It was during the recession and we were unable to sell our home in Atlanta and ended up renting it out three years to a family. The family moved out of our home three years later. My husband and son went back to the house to do some repairs. They were pulling up the old carpet from the floor upstairs. We were getting ready for the hardwood floors to be repaired underneath. There were no curtains on the windows upstairs and as the sun was setting they were on the floor when my son noticed something shiny coming from the corner of the linen closet. Patrick crawled closer to see the diamond near the baseboard of the closet! When they came back to Brunswick after working on the house they surprised me with the diamond! St. Anthony had answered my prayer! We took it to our local jewelry store and had the stone put into a new ring. I thank St. Anthony for finding my diamond. It truly is a blessing. I hope to be able to visit St. Anthony's Shrine in Ohio one day. 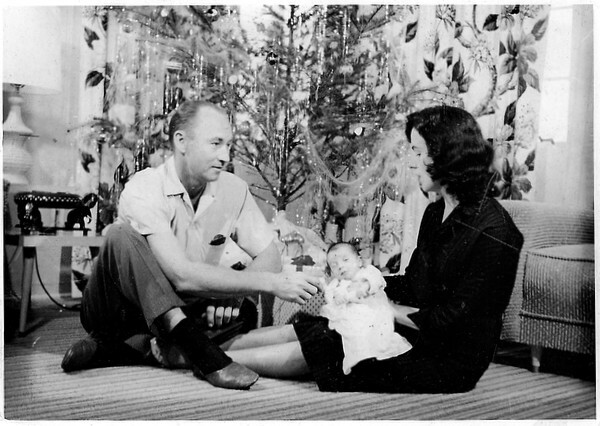 Baby Miriam with her parents in front of the Christmas tree. We’d love to hear your St. Anthony story too. Use our Contact Page or Email: shrine@franciscan.org or Call Colleen Cushard at: 513-721-4700. Share your prayers with us and our online community at our Prayer Page. You can donate to St. Anthony Bread or any of our ministries at our Donation Page.